Do you or someone you know have trouble rolling conventional dice? Lost the dice to your favorite board game? Need a special die for a class activity? Then IssieDice is for you! 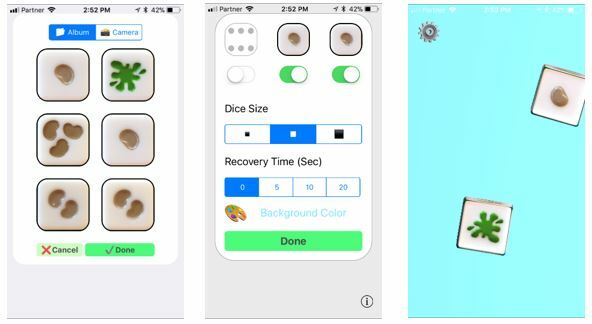 The Technology Center of Beit Issie Shapiro is excited to introduce you to our newest app, Issie Dice, an app to make customizable dice that everyone can use. It is the latest app to come out of our collaboration with SAP Labs, Israel, and we are very excited for its release. A huge thank you to the wonderful staff at SAP Labs, Israel for volunteering their time and resources toward the development of this app! How did IssieDice come about? The idea for IssieDice came from my work as an OT working with students with complex disabilities. I like to find ways to offer as much active participation and initiative as possible in game play, and rolling the dice is a great way to do that. Switch activated dice rollers are a useful tool for adapting game play but limit you to using commercially available dice. They do not solve the issue of customization. We often like to use dice in classroom activities, adding a fun element to lessons and therapy sessions. In the past, we created a big die out of polycarbonate sheeting or cardboard and printed out images for each lesson. While fun to use, it can be time-consuming to create, and not something that can be done on the fly. Out of this challenge, IssieDice was born. The app is very easy to use. Enter settings mode by touching the gear icon in the top left corner and holding for 3 seconds. From the settings screen, you can adjust settings to your needs. The first time you open the app you will see a default die with dots and two green plus signs. This is where you add dice the first time. Press on one of the available green plus signs (or, if three dice have already been created, touch on one of them) and you will be directed to the dice creation screen. On the dice creation screen ,On the top half are the predefined templates. On the bottom half, there is a title bar, “Custom Templates”. Creating a custom die – Touch the plus sign and you will be taken to a second screen with six plus signs, one for each side of the die. Touch on each one to take a photo or add from the photo gallery. Touch ‘done’ when your dice is completed and return to the settings screen. Once you have created and chosen the dice you want to use you may set some additional features. 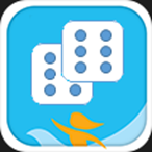 Number of dice – The first row allows you to choose how many dice you would like to roll by touching the toggle button under each die. You can have up to three dice rolling at once. Size – choose from small medium or large dice. All dice will be the same size. 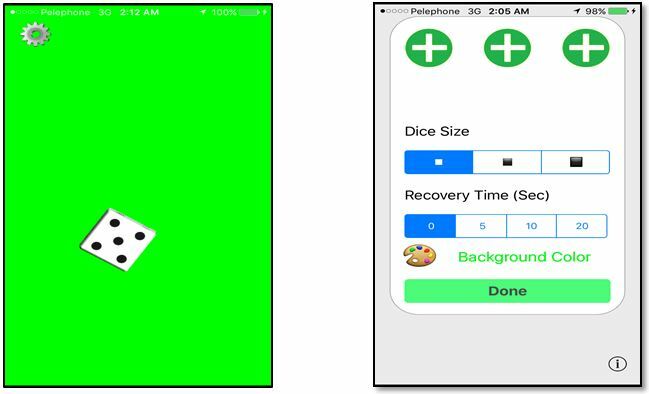 Recovery time – This setting neutralizes the screen so that the dice cannot be rolled again by accident or by repeated presses, until the chosen time has passed. You can choose between 0, 5, 10, or 20 seconds. 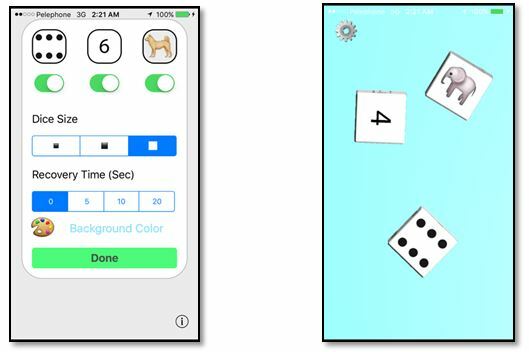 Background color – choose a background color for the screen the dice will be rolled on. Once a color is chosen the text here is in that color, indicating what the current background color will be. Once you have chosen all your options, press “Done” at the bottom of the page and you will be taken to your dice rolling screen. 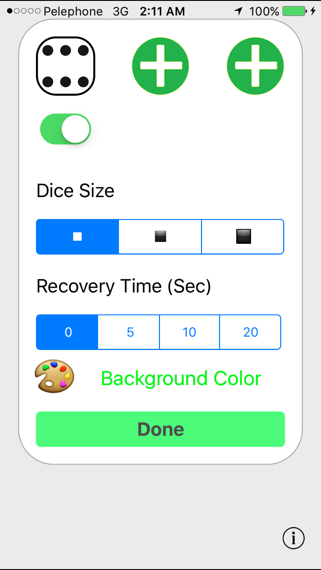 Looking at the sample settings above, there will be three dice (one with dots, one with numbers, and one with animals), they will be large size, there will be no recovery time, and the background will be blue. 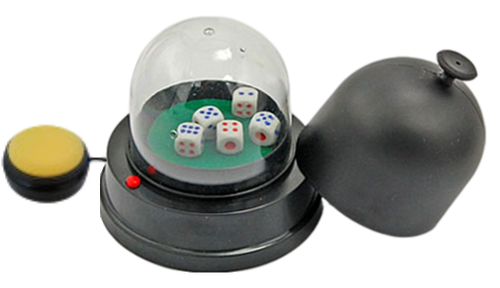 Touch anywhere on the screen to roll the dice. You can return to settings at any time by touching and holding the gear button for a few seconds. 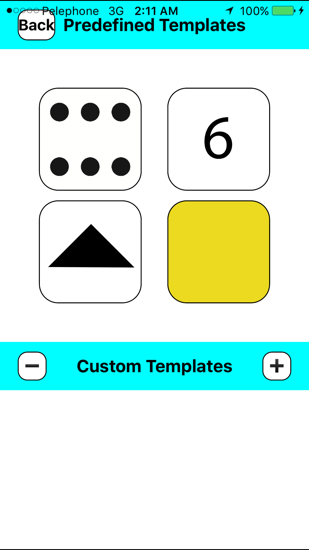 IssieDice is an app for everyone. Not only is the app great for those who can’t roll dice on their own, but it can be used creatively in many ways. It’s great for making dice for classroom activities, for example, a die of photos of kids in the class for turn taking, or a die with symbols/pictures for customized story dice. It’s also super useful if you’ve lost the dice to your favorite game. We would love to hear about the creative ways in which you are using IssieDice! Let us know in the comments. Happy Rolling! 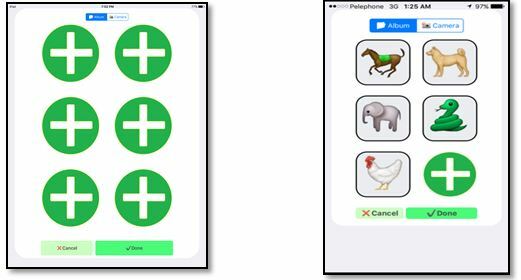 Have a look at our other apps, IssieBoard, also developed with SAP Labs, Israel, and 2Talk -AAC, developed with Sharoni Hirsh, and be sure to keep updated with our blog to hear about other apps coming soon.